One of the excuses for not eating healthier is that it is expensive. Hey, I get it. Whenever I shop at Whole Foods, I feel like a vacuum cleaner has been applied to my wallet. The key is to leave the $20 per pound wild shrimp alone, and start shopping smart. I was cruising the internet when I found this great slideshow: Eating Well 12 Superfoods For $1 or Less. Kerri-Ann Jennings, M.S., R.D., put together this list with price per serving to help us see how affordable these healthy foods are. Some of these foods will cost you more because you will have to add ingredients to make them edible, such as lentils. But, many of them can be eaten raw (apples, oranges, carrots). I was happy to see that I have featured many of these “superfoods” on Snack Girl. I can honestly say that I eat a few from this list every week and some of them on a daily basis. If you haven’t tried one of the foods on this list, at least you won’t spend a lot to try one. What other foods are inexpensive and healthy? What is missing from the list? I love the vacuum pack package of Lentils that Trader Joe sells. Already cooked, good cold or reheated. For a healthy lunch I love to mix a can of tuna w/ 1/2 an avacodo in place of mayo and one slice of whole wheat bread. Whatever doesn't fit in the bread I eat w/a fork. This fills me up for a looong time. Calorie count about: 390 add some spicy mustard for extra zing. Only snag is that your not supposed to eat tuna too often. Erin I do the same thing except I use the single package of salmon. How do you serve the TJ lentils? Susan - I add some to a salad, or serve with lemon juice, olive oil, feta cheese, red peppers, red onion and fresh parsley. Add to chili instead of meat or add to soup. I eat everything on this list except tuna. I try to eat it but I just don't like it. If anyone has suggestions for brands or ways to dress it up, I would love it. I HATE celery and onion so traditional tuna salads are out. The key is to stop looking for foods that are cheap and start looking for foods that are nutrient dense. Nutrient dense foods not only pack more vitamins and minerals per ounce, they also help keep you full longer, thus you eat less. Many of the items on your list are nutrient dense. But the $20 per pound wild shrimp IS also nutrient dense (I can get it for much cheaper than that, too). So, do get some other foods that are nutrient dense even if they are a little more "expensive." Canned pureed pumpkin! I know everyone thinks its a Fall food, but you can bake with it (use it to replace some of the fat in nearly any baked good) year round. Also, I stir 1/4 cup into my oatmeal every morning. Soooo good! Such a great and tasty way to get your vitamin A and some fiber. If you like spicy stuff like me I add red pepper flake and hot sauce. What about spinach? Is that as "super" as kale? Personally not fond of the de-stemming work or the bitter taste of kale. Kale chips,when I make them, I can eat by the truckload, but they tend to be a little greasy - maybe I'm too heavy-handed with the EVOO? I found egg cups at Crate and Barrel. 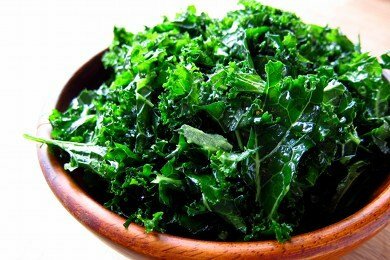 They range in price from .95 to 1.95.
does roasting the kale to make chips remove any nutrients? A delicious dip I have made using the Trader Joes cooked lentils is to add a container of TJoes bruschetta to the lentils. It is amazing! I dip whole grain crackers or veggies in it. Can also use it as a flavorful topping for anything! @Diane, you may like this! I just made lunch from this list and didn't even know it. My new and improved tuna salad is good for lunch today and tomorrow. It's 2 big handfuls of shred cabbage (slaw mix), 2 cans of tuna, and 1 large apple diced up. Mix together with just enough mayo to hold it together and add pepper to taste. Eat half today, half tomorrow. It's delish, protein packed, cheap, easy, VERY FILLING, and no cooking required. I'd probably add in a diced hard boiled egg white or two if i had any handy (leave out the yolk since you already have the fatty mayo). I also mixed in some lowfat bottled ranch since i was short on mayo today and it was good, too. I am surprised by some of the items on the list, as I cannot find most of those items for less then $1. Colleen, mmmm! I have been thinking about remaking old fashioned rice pudding alot lately using brown rice and almond milk. I am the only one home who likes it but oh well, it'll be that infrequent treat. I haven't made this in years and had used eggs too for a custardy result, my favorite. I'm going into my ''test kitchen'' and try it! I'm thinking cinn, nutmeg and raisins will make it sweet enough but a lump or two of sugar is not much spread over an entire desert casserole. Thanks for the recipe! obviously food is cheaper where you live....here in WY half the foods you listed are over $1 easily (in some cases 2 or 3!). Just sayin'. One trick I use is to pre-prepare all of my fruit and vegetables and put them into tupperware in the fridge. That way when I'm looking for a snack I can quickly grab some fruit or vegetables. I must be a frugal eater, Lisa, because these foods (aside from cabbage) are on my grocery list every single week! I have found that trying to buy half of all my groceries at Whole Foods on sale saves me a ton of money each week too. Great list! Dried fruits are a great snack too. Just make sure to read the package to make sure you're not consuming more than you think. Here's a link to help understand labels. "No Added Sugars" and "Without Added Sugars" are allowed if no sugar or sugar containing ingredient is added during processing. State if food is not "Low" or "Reduced Calorie"
Thanks to Angie M. and Brandy for the suggestions. I'm going to try both of them.